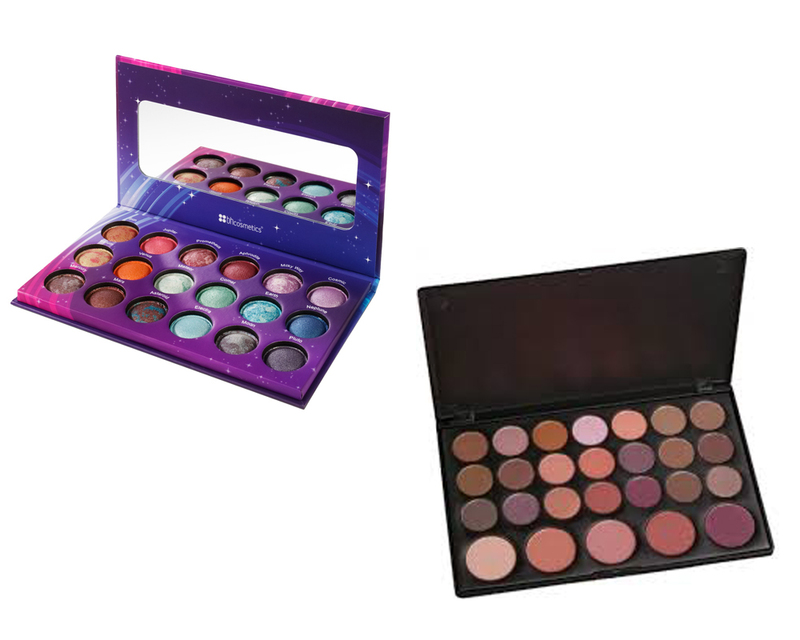 BH Cosmetics or Coastal Scents, which one is good in eyeshadow pallets? Many people ask that question, in this article I just wanna help you as a reader to give you a description about both of this things. Many color available in this eyeshadow pallets, of course you will confuse. I recommend to you when you wanna buy the eyeshadow pallets, firstly you must buy the main color which is neutral for any event. The neutral color in eyeshadow usually dominant of brown because it’s simple but elegance color. This color so neutral for any situation, it is so suitable use for working in the office not too much, and also you can use in the formal event which you can put on your eyes slightly thicker. In 2015 to 2016 this color is so up. Many tutorial recommend these color especially for you as a beginner who confusing about which you should choose. These color can make your eye leaving and also looks deep when people look at you. In neutral color BH Cosmetics and Coastal Scents they has 28 color eyeshadow pallets neutral. From the box design of these pallets has the same shape and same size, it is similar, the different look from the lid, BH Cosmetics has the transparant lid while Scoal Scents has the black lid. BH Cosmetics pallets heavier than Coals Scents, BH has poids net 47,6g / 1,68oz while Scoal Scents has 45,0g / 1,58oz . When it opened, amazingly just little different we can see from the color that its almost similar between them. If we talking about the surprise between this pallets has the comparison is not too so far away. Take a look : BH Cosmetics vs Shany. From the ingredients side, Coastal Scents contains of mineral oil kaolin so it claim can make the pigmented result so it can be long lasting it’s doesn’t same with BH Cosmetics which in the ingredients contains doesn’t have mineral. But they use dimethicone and silica which is make matte and shimmer result. Both of this pallets color has the soft color until the hard color, but I love the color so much because I can maintain as appropriate my mood or my situations coming. Overall, both of this pallets is not has the specification different. Actually the color doesn’t has the big different. If you like the pigmented result on your eyes you can go with Coastal Scents but if you are the woman who loves the matte and shimmer looks, better for you to choose BH Cosmetics for your make up in daily life. I really recommended for you especially you as a beginner.